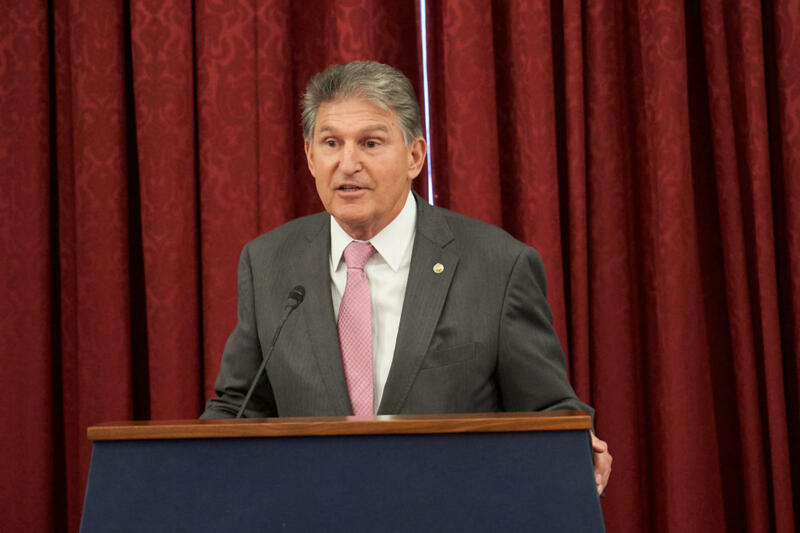 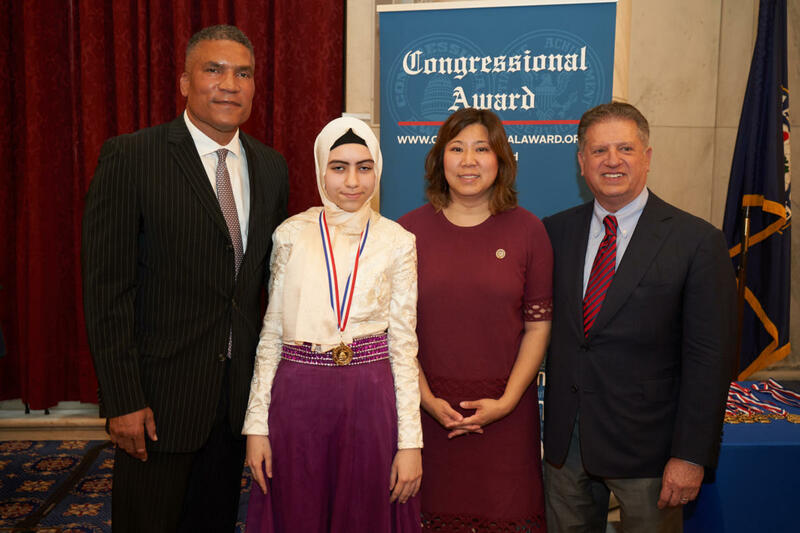 On June 21, 2018, Members of the United States Senate and House of Representatives honored 442 youth across 41 states at the 2018 Congressional Award Gold Medal Ceremony. Recipients of The Congressional Award Gold Medal have earned the highest honor Congress bestows upon a youth civilian. 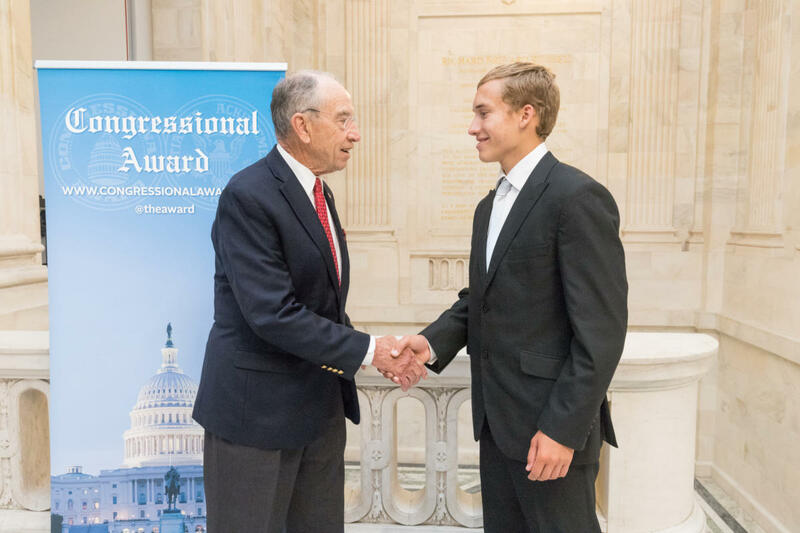 For a minimum of two years, each Gold Medalist logged hundreds of hours across four program areas: Voluntary Public Service, Personal Development, Physical Fitness, and Expedition/Exploration. 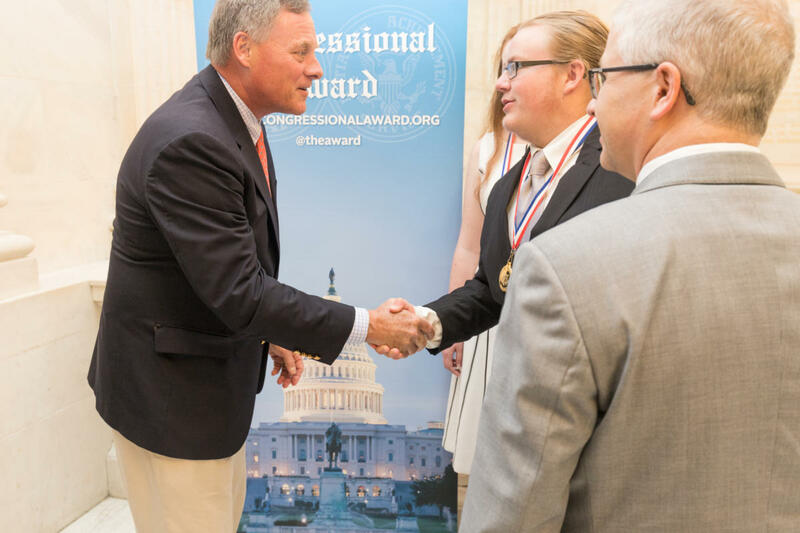 The 2018 Gold Medal class was the largest in the program’s 39 year history, representing an unprecedented year of servant leadership. This year’s class contributed 371,280 service hours to communities near and far, an average of 840 hours per medalist. 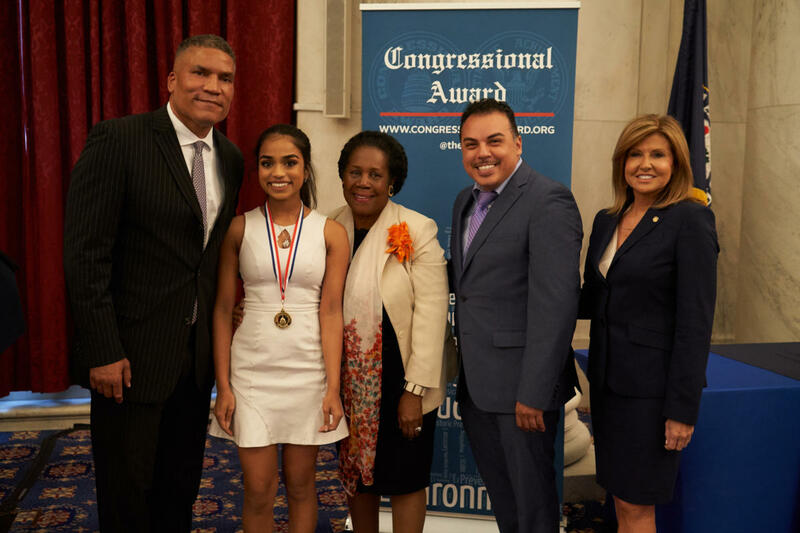 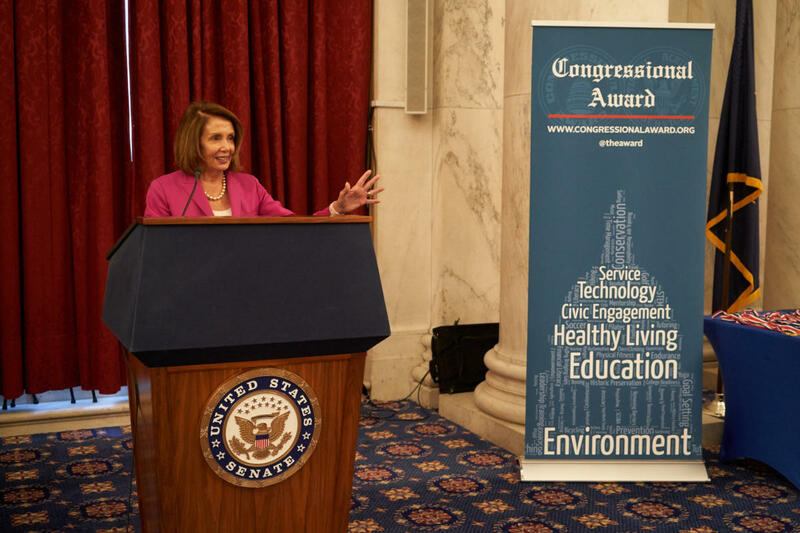 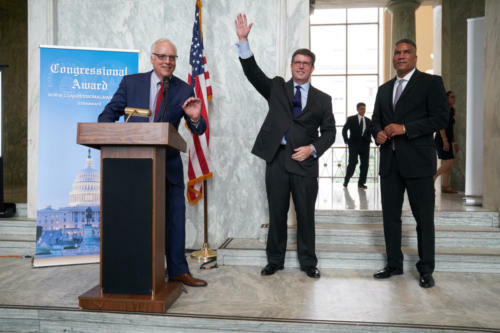 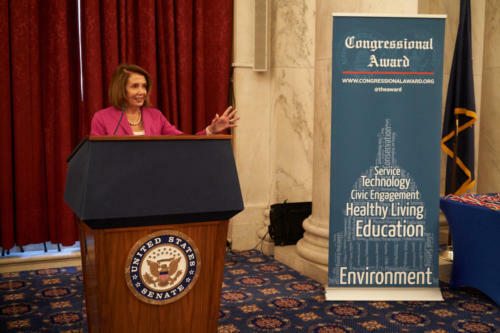 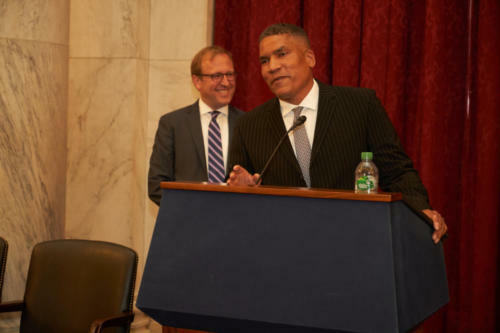 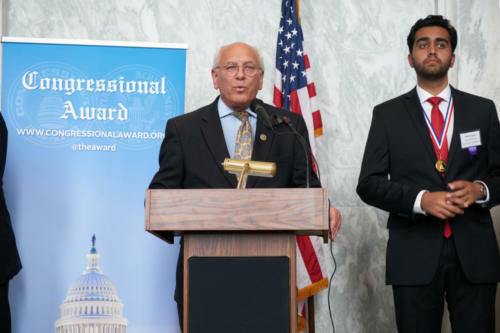 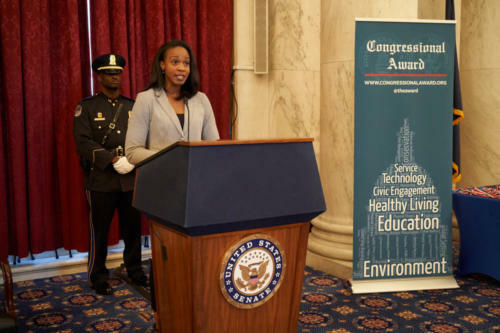 This special recognition event took place in the historic Kennedy Caucus Room of the Russell Senate Office Building, located on Capitol Hill in Washington, D.C.
Three award ceremonies were held to accommodate family members and guests. 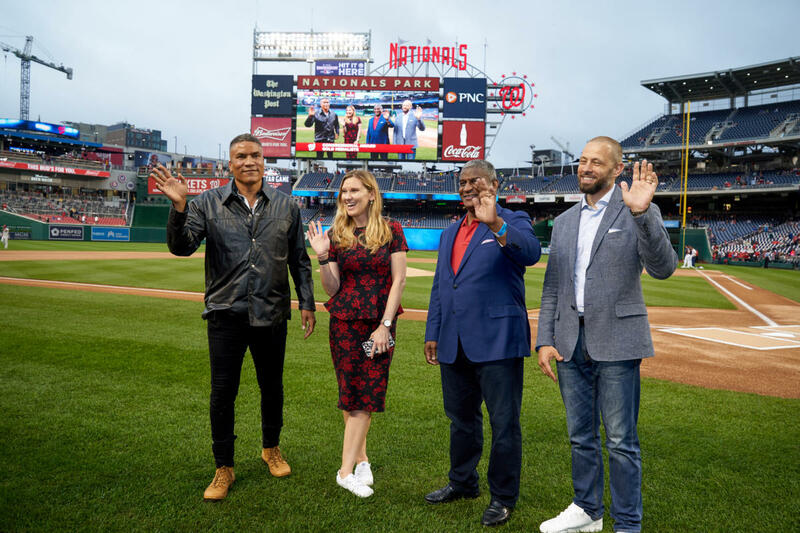 ABC News Chief White House Correspondent Jonathan Karl, NBC News Washington Correspondent Blayne Alexander, and Entercom’s 94.7 FRESH FM and NBC4 personality Tommy McFly each served as Masters of Ceremonies. 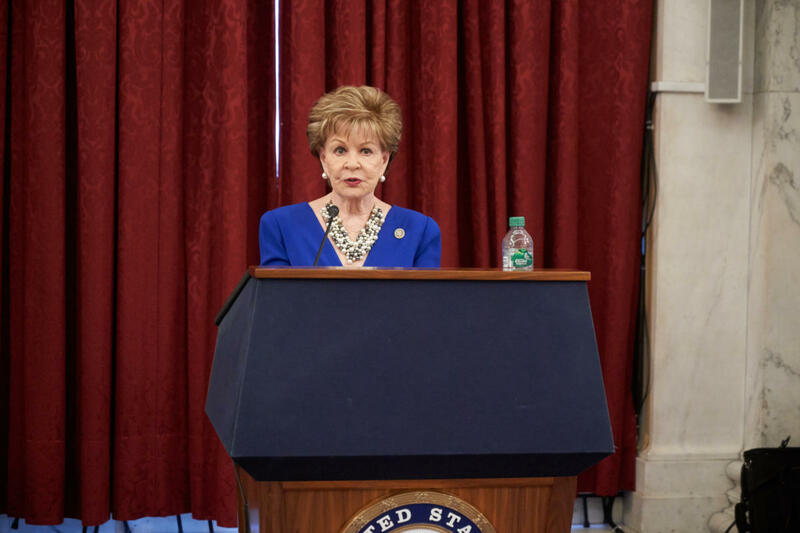 The Presentation of Colors and National Anthem were given by the United States Capitol Police Ceremonial Unit. Invocations were provided by Reverend Patrick Conroy, Chaplain of the United States House of Representatives, and Dr. MarTeze Hammonds, Congressional Award Advisor and program volunteer. Over 50 Members of Congress attended the ceremony to present their constituents with the Gold Medal. Congressional speakers included Congresswoman Madeleine Bordallo (GU-00), Senator Mike Enzi (WY), Congressman Richard Hudson (NC-08), Congresswoman Sheila Jackson Lee (TX-18), Senator Joe Manchin (WV), and Democratic Leader Nancy Pelosi (CA-12). 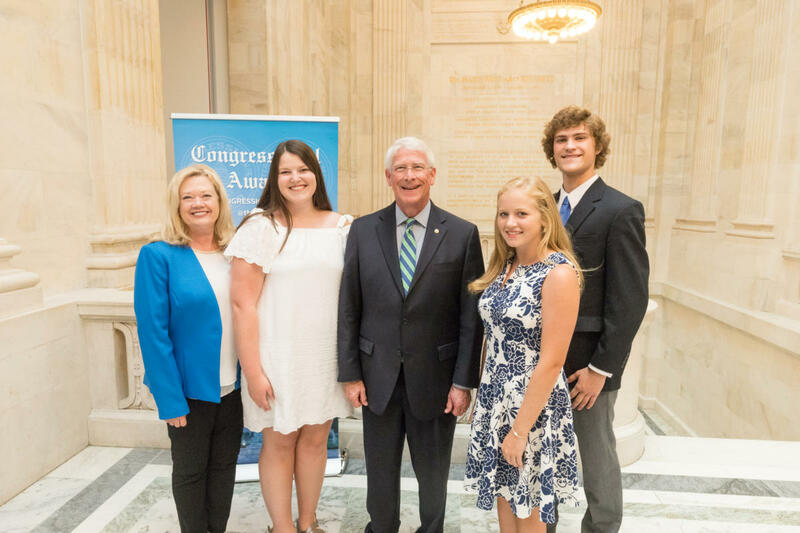 The Congressional Award Foundation also recognized Daniel Moyer with the Inspiration Award for his exemplary service in advising Congressional Award participants. Mr. Moyer is the Vice-Principal of Academics at Crean Lutheran High School in Irvine, California and has guided over 450 youth through the program. 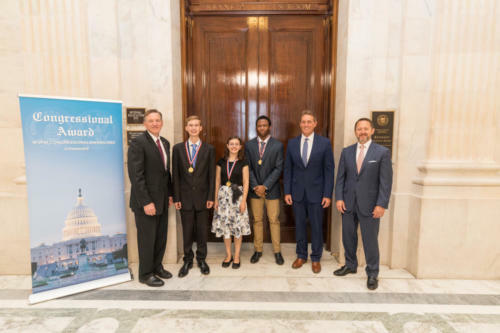 Coinciding with this year’s Gold Medal Ceremony, The Congressional Award partnered with Bayer to host the first science, technology, engineering, and mathematics (STEM) Stars Reception to celebrate Gold Medalists who engaged in STEM activities. The reception took place in the Rayburn House Office Building Foyer the evening of the Gold Medal Ceremony. U.S. 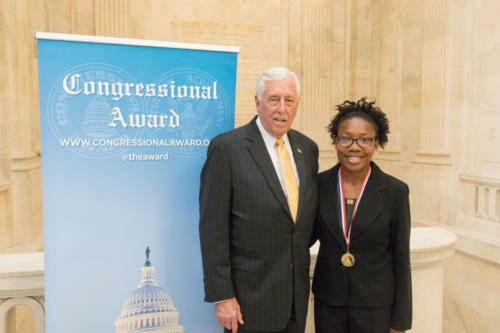 Representatives with a background in related fields presented the STEM Stars, including Representatives Bill Foster (IL-11), Jerry McNerney (CA-09), Paul Tonko (NY-20), and Bonnie Watson-Coleman (NJ-12). 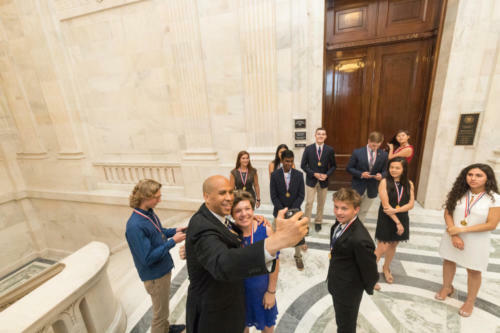 Grand Prize Winners from The Congressional Award GoPro Challenge were also included in the reception. 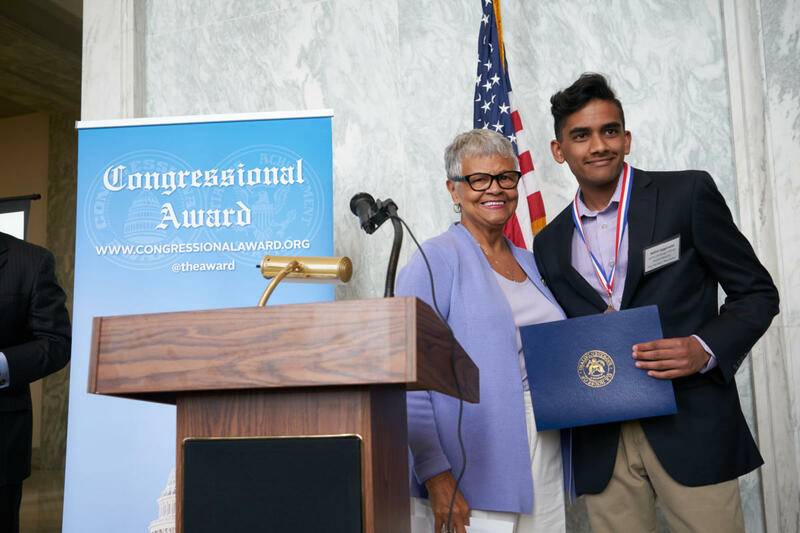 Brady Moon of Provo, Utah and Nikhil Aggarwal of East Windsor, New Jersey showcased their winning video submissions Exploring Utah and Tech Work at Senior Living Center, respectively. 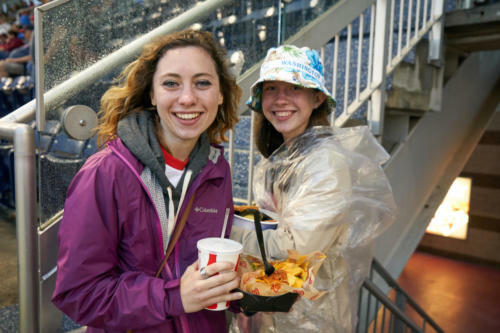 Capping off the recognition events, the Washington Nationals hosted Congressional Award Gold Medalists at Nationals Park on June 22nd for a memorable day at the ballpark. Gold Medalists took a photo on the diamond at midday and were recognized during pre-game activities before the Washington Nationals vs. Philadelphia Phillies face-off that evening. 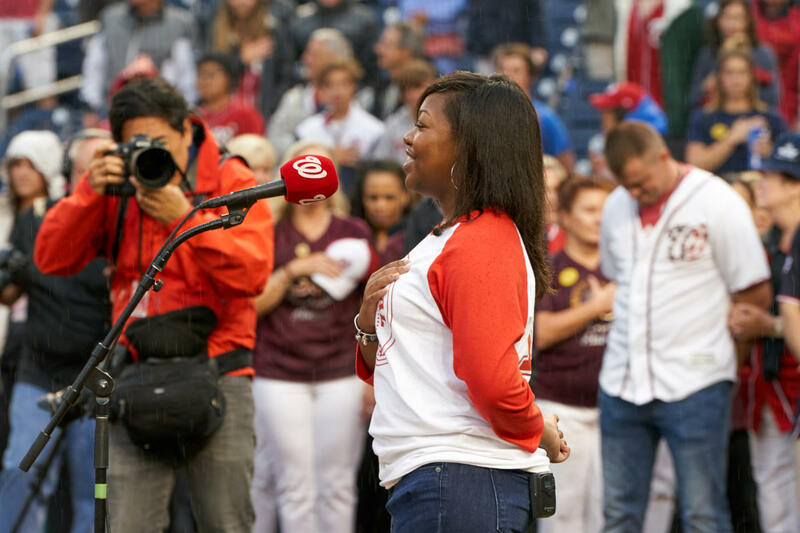 Congressional Award participant and Arkansas 4-Her Tania Kelley sang a soulful rendition of the National Anthem and Congressman Brendan Boyle (PA-13) threw out the first pitch. View the complete list of 2018 Gold Medalists. Speaker of the House Paul Ryan commemorated the 2018 Gold Medalists by adding their achievement to the Congressional Record. Download a PDF copy of the 2018 Gold Medal Ceremony Program Book. 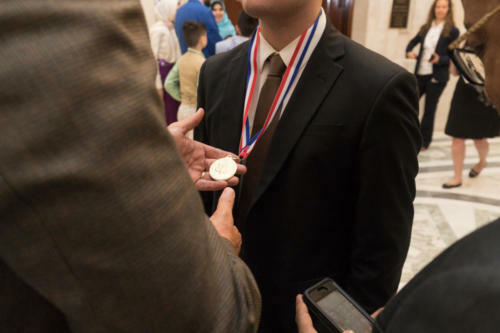 View the Gold Medal Ceremony photo gallery.